This is a brand name of lenses for manufacturer. These lens codes are related to sensor size. 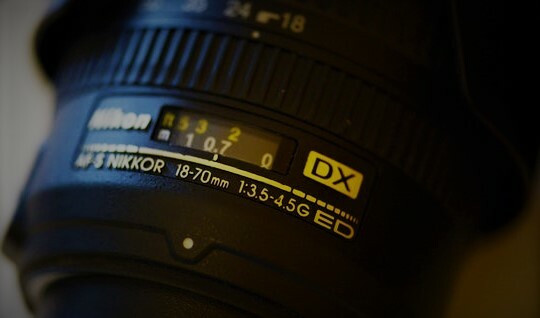 Digital SLRs have either FX or DX sensor. The FX sensor is bigger than the DX one and we generally call it as a crop sensor. DX sensor has size of 15.8×23.6mm while FX has bigger size of 24x36mm. Only camera with DX sensor like D3XXXseries are compatible with dx lenses and same is for FX as well. In case if you try to DX lens on FX camera then due to the crop factor it introduces the magnification of 1.5X. DX format slr are designed for small camera body that’s why it costs lower than the FX camera with bigger body. AF-S : Auto focus-Single Servo. These are the autofocus system which requires a motor to move back n forth in order to focus on particular subject. Modern DSLR doesn’t have an in-built focus system, rather this autofocus motor is implmeneted inside lenses these days which works with camera body to grab the focus on subject, this is usually cheaper as well to implement inside lens rather than in camera body itself. On the other hand if you are using a lens which doesn’t have any focus motor then one has to do focusing manually. This denotes the focal lengths of the lens. 18 is the minimum focal length or you can call it as wide end and it can go up to 70mm tele end. 18mm covers more area in frame than 70mm. This tell that your lens has variable aperture. The maximum aperture lens has is f/3.5 and aperture will get narrower the more we zoom-in. If lens has only one number like 2.8 then it says lens has fix aperture of f/2.8 throughout the whole zoom range. Labelled as ED/ELD or SLD, these are types of low dispersion glasses. E stands for Extra Dispersion, L stands for LOW and S stands for super or special. These are just a type of glass that is used in the lens. These are image stabilization technology that minimizes lens blur caused by camera shake or slow shutter speed. Using this technology one can take sharp images even in low light. This technology are mostly inbuilt with camera but sometimes it also comes with lenses too. These are dedicated macro lens which is used for macro photography. This lens term is common across all brands. These lenses are constructed to focus on a subject which is very close to a camera. We generally measure macro magnification with CFD term. CFD stands for close focus distance or can be called as maximum magnification as well. CFD of 1:1 means, project of subject on sensor will be same as in real life likewise 1:2 means projection of subject is double i.e double magnification when compared with real life. A filter can be used for various purposes. Sometimes in discard harsh lighting or to get better contrast in image. There are various types of filter available in market, all have a different purpose. Like a Polarizing Filter can be used filter out polarized light which reduces the reflection or shadow or a natural density filter which reduces the amount of light entering in lens. Whenever we buy a filter, we need to know the specific filter size. A compatible filter size can be seen on lens box so check this number before you buy any filter. Note : Do not get confuse with filter size and focal length of lens, both are different as explained above. So here I have tried to cover almost all basic terms used for different brands of lenses. I will be adding few more in coming days. If I am missing something please mention in comment so that I can add those terms as well in future. Very useful for new photographers.